Can SecuriSync help make buildings more energy efficient? 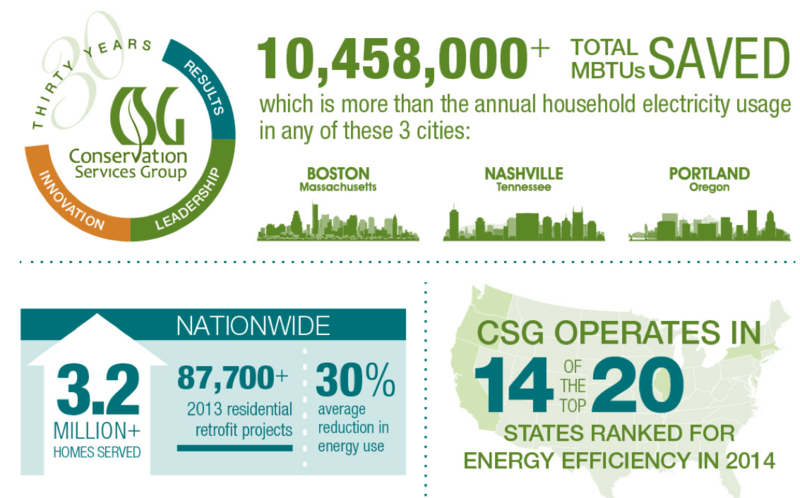 Conservation Services Group (CSG) is the U.S. leader in residential energy efficiency programs. They help their customers conserve energy to make homes and buildings more comfortable, safe, durable, and affordable to operate. One of the reasons CSG is so successful is because they work so well with external stakeholders. They collaborate with code officials, builders, contractors, architects and developers—which means there are lots of files being shared with lots of people. But as their storage needs increased, new IT challenges were introduced: specifically, the cost and complexity of file sharing. CSG already trusted Intermedia for email and instant messaging. Could Intermedia’s SecuriSync solve their collaboration challenges? Big news: Get more SecuriSync storage for less!